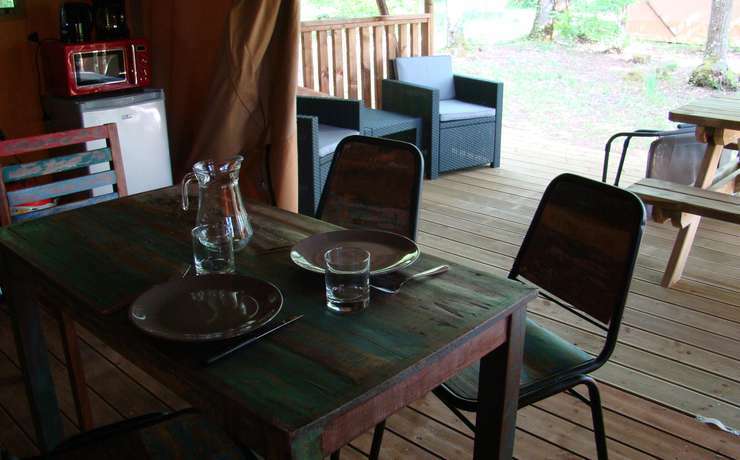 We wanted to complete the rental offer of the campsite, without distorting the general spirit of Le Rêve domain but on the contrary enhancing the spaces even more. Children love to make huts with branches, build tepees that combine wood and canvas … This inspired us for choosing your new homes! Find your child’s soul, come and live in the heart of nature, to become one with it. Camouflaged on the edge of the wood, you will find the lodges tents that blend into the landscape. 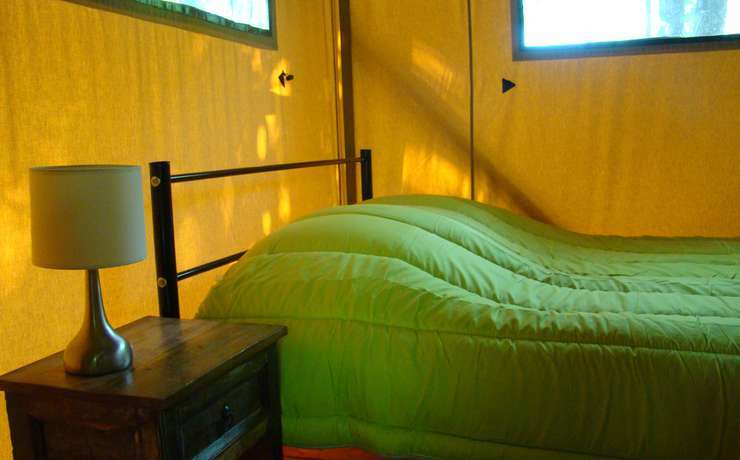 The lodge tents have two bedrooms, a parent and a second with three beds. The living area houses the kitchen with all the functional equipment to make meals, such as two gas burners, a refrigerator, a microwave. To clean your dishes or fill your pan, you will find the sanitary and a water point nearby. The living room is extended by a large sheltered wooden terrace. We offer the comfort of “real beds”, cozy as at home, equipped with pillows and duvets for the whole family. 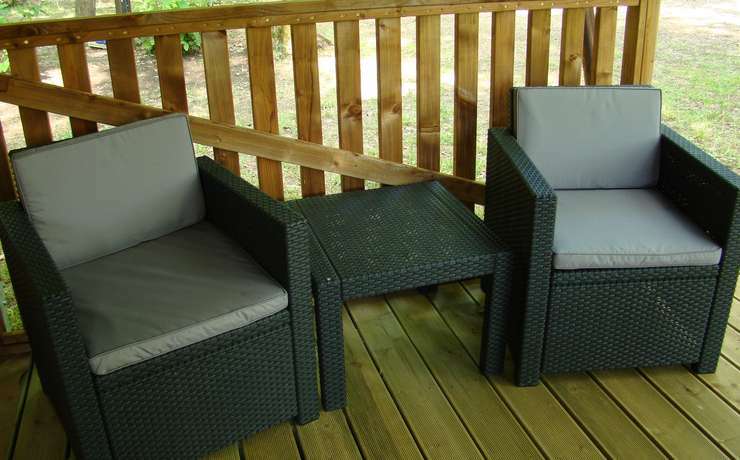 You can enjoy the 15m² terrace to live a little more outside. Why not install a sunbed and indulge in a moment of rest? 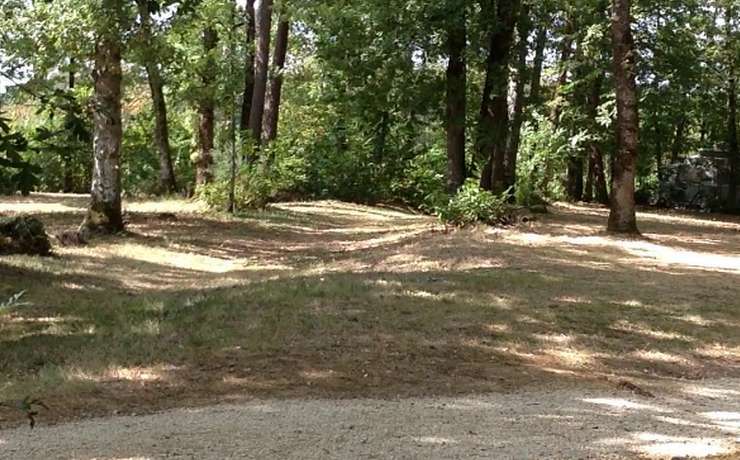 Or take the opportunity of this prime location to observe the birds around you. 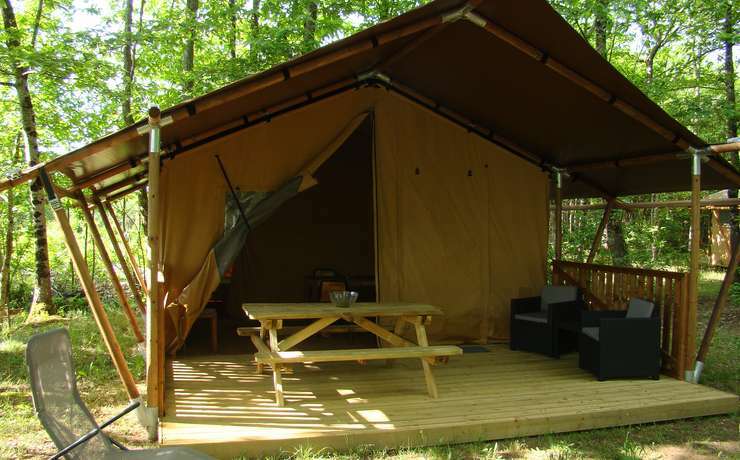 The pitches of our campsite are spacious and can offer a private garden to each of our lodge tents. We offer an arrangement with a wooden picnic table. This one can be arranged on the terrace or be installed in the garden part, according to your desires or the exposure to the sun.